U.S. Supreme Court takes up new immigration detention dispute - Integration Through Media ....! By Lawrence Hurley, WASHINGTON (Reuters): The U.S. Supreme Court on Monday took up a new dispute over the detention of immigrants in a case involving whether people who were convicted of criminal offenses and were subject to deportation can go free in certain instances after serving their prison terms. 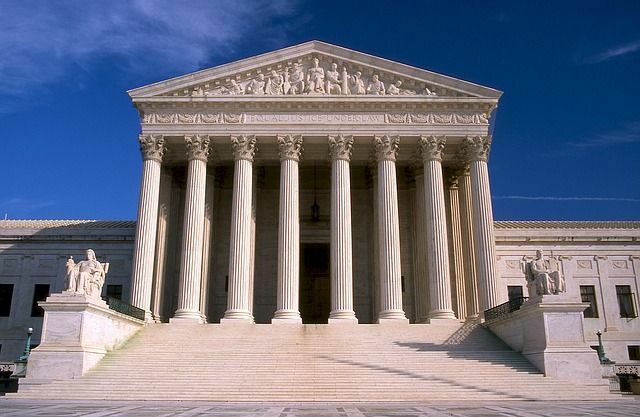 The justices will hear an appeal by President Donald Trump’s administration of a lower court ruling blocking the government from detaining immigrants convicted of crimes any time after they leave prison, sometimes years later. The San Francisco-based 9th U.S. Circuit Court of Appeals ruled in 2016 that the government could detain such immigrants only immediately after they finish their prison term. The high court agreed to take up the case after ruling in another immigrant detention case on Feb. 27. The justices in that case curbed the ability of immigrants held in long-term detention during deportation proceedings to argue for their release, overturning another 9th Circuit ruling. The plaintiffs in the new case included two legal U.S. residents involved in two separate lawsuits filed in 2013, a Cambodian immigrant convicted of marijuana possession and a Palestinian immigrant convicted of attempting to manufacture a controlled substance. The law in question in the dispute states that the government can detain convicted immigrants “when the alien is released” from criminal detention. Civil rights lawyers for two groups of plaintiffs argued that the language of the law shows that it applies only immediately after immigrants are released. The Trump administration, which has taken a hard line on immigration enforcement, argued that the government can detain such immigrants at any time. Former President Barack Obama’s administration previously took the same position. The case takes on added significance in light of the Trump administration’s decision to intensify immigration enforcement, with growing numbers of people expected to land in detention awaiting deportation. The 9th Circuit is the only regional federal appeals court to have ruled that the government cannot at any time detain immigrants who have served criminal sentences. Plaintiff Mony Preap was born in a refugee camp after his parents fled Cambodia and has been a legal U.S. resident since 1981. He was convicted in 2006 of two misdemeanor counts for marijuana possession and sentenced to time served but was not taken into immigration custody after his release. In 2013, he was then detained by immigration enforcement agents upon being released after serving another criminal sentence for battery, which does not trigger the immigration detention requirement and is not a deportable offense. He has since been released from detention and is not facing deportation. Plaintiff Bassam Yusuf Khoury, who was born in what is now the Palestinian territories and has been a legal U.S. resident since 1976. He was convicted in 2011 of attempting to manufacture a controlled substance and was not immediately detained by immigration agents after completing his 30-day sentence. He was detained two years later for more than six months before being freed. The court will hear arguments and decide the case in its next term, which begins in October and ends in June 2019.